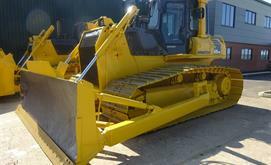 Suppliers of Komatsu Machinery and Parts Worldwide! Kedgeworth are the largest Komatsu equipment specialists in the United Kingdom. We stock spares, covering the entire Komatsu Earthmoving range, including new parts, both genuine Komatsu and good quality aftermarket. Kedgeworth holds the largest stock of used Komatsu parts in Europe and a huge range of reconditioned major components, rebuilt and tested at our own facility. We also have a carefully selected stock of used Komatsu machinery, backed up by our Service Department with over a 100 years combined Komatsu experience. Based at our 6 acre site at Henstridge, Somerset, in the South of England, we are well situated to serve our Customers across the UK, Europe and Internationally. We offer a unique, bespoke service to Komatsu machinery operators. Kedgeworth no longer offer support for your browser.